Black tea, also known as Crimson Tea because of the reddish color of its infusion, is more oxidized, stronger in flavor, and contains more caffeine than the other tea varieties. The crafting of black tea involves the withering of the leaves until the moisture content reaches below 60%, at which point they are rolled to help in the release of organic compounds which add to its distinct flavor. Black tea generally has a bold taste, and it will give you a more even and prolonged energy boost than the edgy rush that coffee drinkers are used to. A full bodied, earthy infusion typical of high quality Yunnan black teas. A taste of spring, complete with juicy fruit flavours! A decadent coffee tea blend with chocolate and banana! Probably the best black lemon iced tea you've ever tasted. 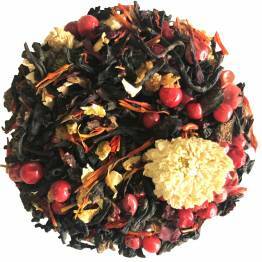 Try our "Canadian Breakfast Tea", the sweet flavor of maple with a soft black tea. A rich blend coffee beans, black tea, and caramel - curl up and enjoy a hot cuppa! An exquisite light bodied 2nd flush black tea from Poobong Tea Estate in Darjeeling region, rich in muscatel flavor and aromas. 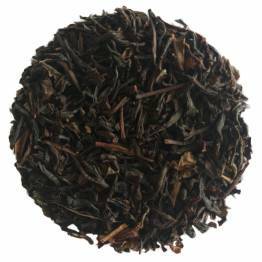 A full-bodied Ceylon black tea blend with an inviting aroma and a light, fruity taste. "What a whiskey will not cure, there's no cure for!" Same goes for this Irish-strength black tea blend. A lively black tea from China, with a mild smoky character and light cup. 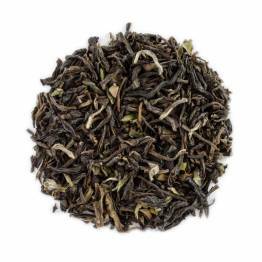 Deliciously sweet and fruity with the underlying support of a robust black tea. A potent earthy profile, with notes of fresh moss and a deep, rich cup. A berry blend of bergamot and black tea... say that 3 times! A luxurious blend of black tea, bergamot and a rich sweet cream flavour. Drink a hot cup of Spicy Cacao black tea, smooth, spicy and chocolatey. 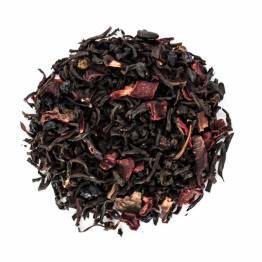 A full-bodied broken leaf black tea that is great for lovers of a strong morning cup of tea. A full strength black tea and bergamot blend, great for london fogs.